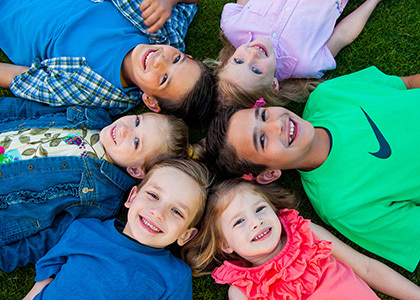 One of our main goals at Banks Pediatric Dentistry is to give your children the best chance at success in life. Maintaining optimal oral health is an often underestimated, but still substantial component of long-term success. Regular checkups and cleanings are needed, but we also strive to help educate and train our patients how to properly take care of their own teeth as well. Brushing | Most acknowledge the importance of brushing teeth, even kids—though it might be begrudgingly. However, many don’t know how to properly brush their teeth. Our team takes the time to make sure our great little patients understand exactly how to get the most out of their brushing. Flossing | Did you know that gum disease continues to be linked to significant health problems? Maintaining oral health is not just about the teeth. Flossing helps remove disease causing issues from between teeth and also stimulates gums and keeps them healthy. We will also show your little ones how to floss correctly. Eating Well | Sugar is everywhere today and comes in seemingly infinite forms. We educate your children on the dangers and pitfalls of unhealthy foods and drinks so they can understand how their eating/drinking decisions can impact their health. We’re happy to answer questions you may have on this topic as well. Having straight teeth isn’t only to look good! Crooked and/or overlapping teeth make hygiene more difficult and can lead to serious dental issues. Dr. Banks can help identify early warning signs of dental development and correct course to help your child’s smile stay as straight and healthy as possible. Have active kids? So does Dr. Banks. Custom fit mouthguards may save the day when your child is engaged in events that might cause injury. Many mouthguard options exist, but they are not all created equal. Be sure to ask Dr. Banks on your next visit if a custom mouthguard would be the best option for your little athlete.